It is the middle of the night and your phone rings. Your loved one is on the other side asking for bail out of jail and you might immediately panic or become upset. While it is understandable to be unhappy at the prospect of someone you care about being arrested, the first thing you should do is focus on remaining calm. Your loved one will probably need your help now more than ever. For whatever reason, they have landed in jail. If they ask you for assistance posting bail, it is time to reach out to a bail bondsman in Danville to assist you with the process. We make bail bonds affordable and simple. The real question remains, should you post bail for your loved one? At the end of the day, that is only a decision you can make. However, the following are reasons why you might want to consider helping them out with bail. Being arrested is a harrowing experience. Sitting in jail can be extremely distressing. Whether or not the situation was a symptom of an ongoing problem or your loved one was simply in the wrong place at the wrong time, sitting behind bars isn’t going to help them find a calm mindset from which to formulate a plan. Being in jail can cause depression, anger, and a slew of other negative emotions. Getting your loved one back home can restore a semblance of comfort in their lives while they wait for their court date. 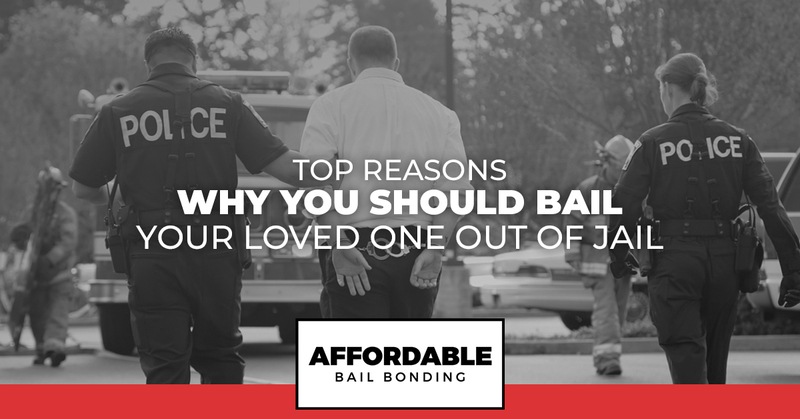 During the time between an arrest and the actual trial date, your loved one can continue to hold down important responsibilities if you bail them out of jail. For this reason, paying for a bail bond can wind up being a vital financial investment. This is particularly true if your loved one is responsible for paying bills and taking care of a family — all things that are impossible from behind bars. Giving them back their freedom gives them a chance at normalcy. One of the most important things for your loved one to do at this point is to seek legal advice. If you bail them out of jail, you can work on finding the right attorney for their case. This gives them a chance to build a defense. In some cases, being arrested serves as a bit of a wake-up call. When you bail your loved one out of jail, you aren’t negating that feeling. You are, instead, giving them a chance to seek help and accountability. Perhaps they need to join a class or a group that focuses on an issue they battle. Getting them out of jail and back at home allows them the chance to start over fresh. If you want to help out a loved one who has been recently arrested, contact our team right away. We will work with you to ensure that you can afford bail and that your loved one is released in a timely manner. Contact your trusted Danville bail bondsman, night or day, at Affordable Bail Bonding.